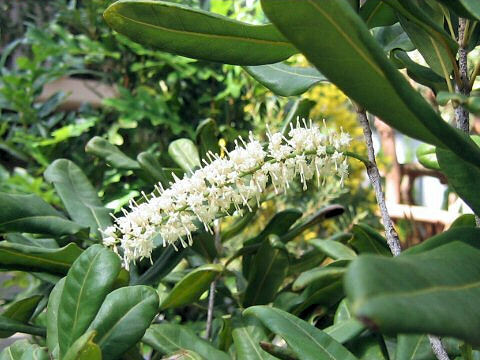 Macadamia nut (Macadamia integrifolia) belongs to the family Proteaceae. 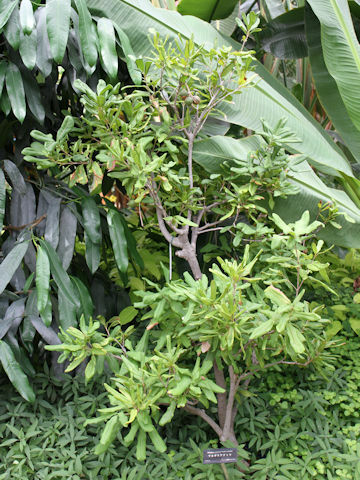 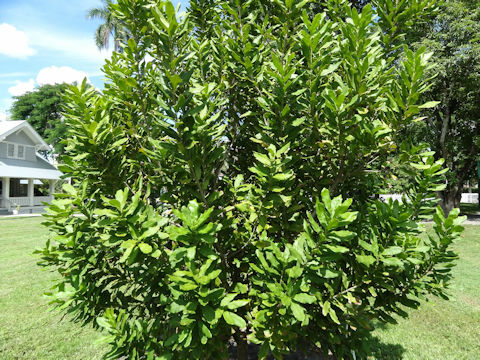 It is a semi-tall evergreen tree that is native to southeastern Queensland in eastern Australia. 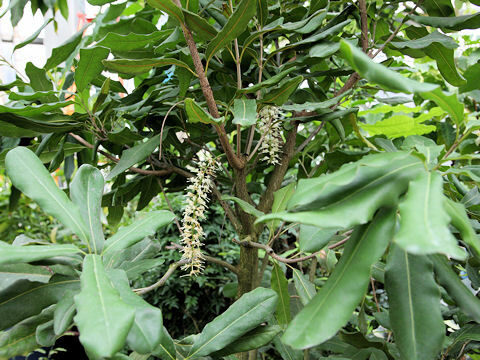 This tree grows in rainforests and can reach 7-12 m in height. 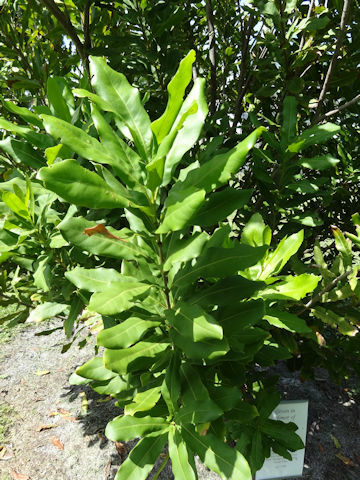 The leaves are oblong with wavy edges. 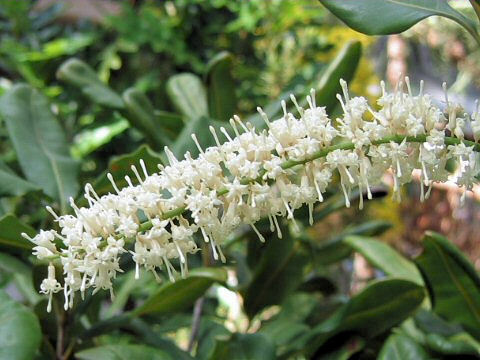 The long clusters are drooping and the white flowers bloom from winter to spring. 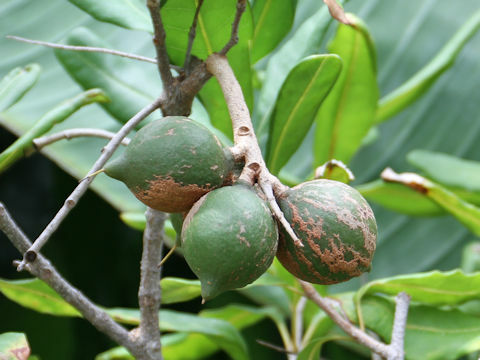 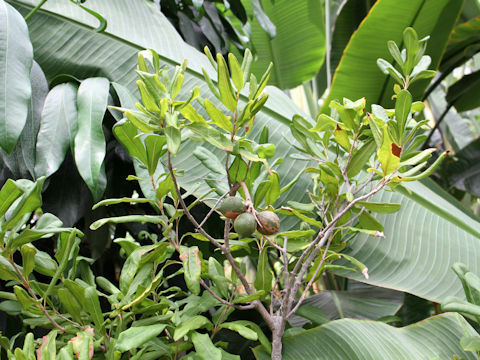 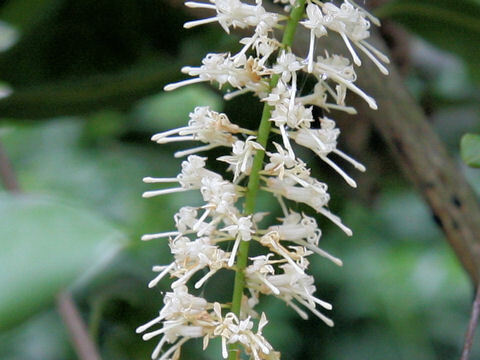 The seeds are edible and used as a food or a medical oil.